The cycle of violence is heartbreaking — will it ever end? For he has rescued us from the dominion of darkness and brought us into the kingdom of the Son he loves, in whom we have redemption, the forgiveness of sins (Colossians 1:13-14 NIV). Teleutaesantos de tou Harowdou... — they're just four simple words, but their reality changed everything! Jesus has been born (Matthew 1:18-25). Herod has had little Bethlehem boys killed to try to exterminate the prophet's promised King and Messiah that he saw as a potential rival (Matthew 2:16-18). Joseph and Mary had to escape to Egypt* to save their now baby boy and one day Savior, Jesus (Matthew 2:13-15). 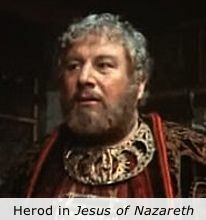 But Herod's time ended... — is a literal way to translate these words, but usually this euphemism is translated, "But when Herod died..." (Matthew 2:19). I like the euphemism better! Four simple words remind us that every human personification of evil is mortal and temporary. Evil's grip on government, religion, politics, and daily life will one day loosen and end. Every Herod will return to dust. Not everyone who prays for the days of evil to pass will see the day for which they long in their lifetime. That day, however, will certainly come. Not every heart which yearns for freedom from tyranny and abuse will live to celebrate the fall of their tormentors, but that day will certainly dawn. So these four words speak hope — But Herod's time ended... This hope is even more elaborately and vividly confirmed by our Bible's last book, The Revelation of Jesus to John. These four words point us to that same hope simply and eloquently. They speak hope to those caught in a grip that seems impossible to loosen. They speak hope to those caught by evil powers so dark that they cannot see the light at the end a dark tunnel of violence and evil. In these darkest of moments, Jesus will reign and every dark power will come to its end. They speak hope to those opposed by powers that seem too strong to conquer. One day, every Herod, will have his time come to an end. Let's hold on to our hope. Let's pray for those who are trapped by their modern day Herods. Let's use our voice to speak out for those caught in oppression and use our influence politically to bring this violence to an end. Let's look for the Light coming on the horizon of history to cast out all darkness and bring us in full freedom and fulfillment into His kingdom of light. I have found that many followers of Jesus have forgotten that Egypt offered a place of safety for Jesus when he was a toddler and while he grew into a boy. During these past months, believers in Christ have suffered in Egypt and the Egyptian people have faced great hardships as they have struggled through both political and religious hardships and violence. Even worse tragedies on a widespread scale have been going in Syria. And unfortunately, there are many places in sub-Saharan Africa, like the Congo, where atrocities are occurring today. So I pray these violence-torn people can know the power of these four words: But Herod's time ended...I pray that they can know the truth of these words in their lifetimes. I also encourage us, Jesus' followers, to pray for those caught in the vice of modern day "Herods" who are willing to kill their own people to preserve their stranglehold on power. Let's join Jesus in praying, "Your kingdom come, your will be done on earth as it is in heaven," longingly expecting the day when every Herod of any kind finds his days have ended. 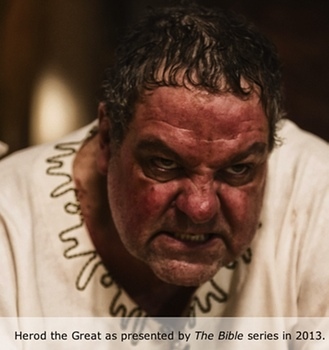 "But Herod's Time Ended!" by Phil Ware is licensed under a Creative Commons License. Heartlight encourages you to share this material with others in church bulletins, personal emails, and other non-commercial uses. Please see our Usage Guidelines for more information.